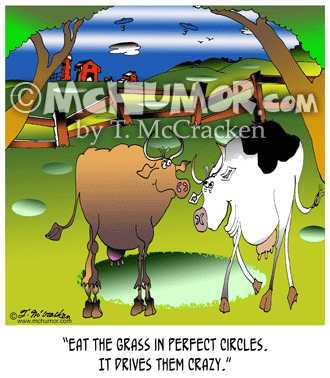 Cow Cartoon 7608: A cow saying to another, "Eat the grass in perfect circles. It drives them crazy." 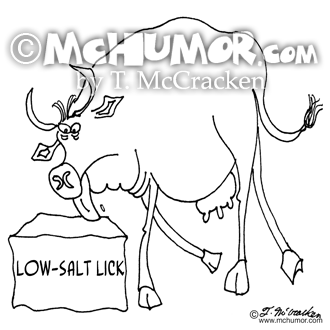 Cow Cartoon 8763: "Free Range Cow." 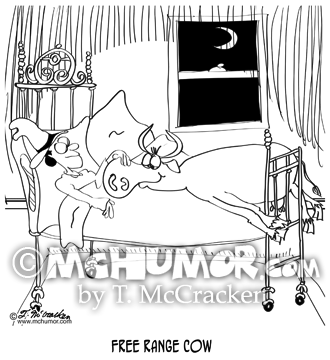 A cowboy has a cow sleeping in his bed. 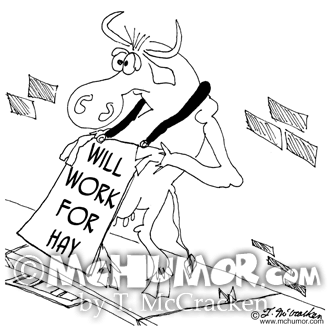 Beef Cartoon 6929: A cow on a street corner wearing a sign that says, "Will work for hay. 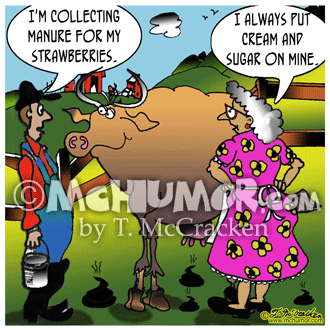 Ranching Cartoon 7580: Someone saying to a woman with a cow, "I'm collecting manure for my strawberries." The woman says, "I always put cream and sugar on mine." 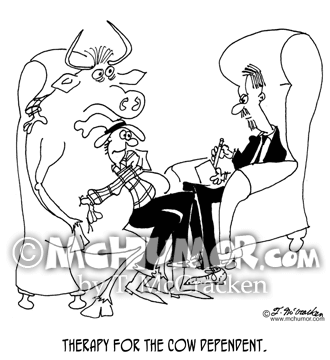 Ranching Cartoon 5868: "Therapy for the cow dependent." A sad cowboy hugs his cow at a psychiatrist's office. 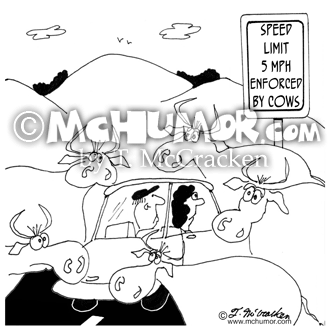 Cow Cartoon 6933: A road sign, "Speed Limit 5 MPH. Enforced by Cows." Cars are stopped as cows cross a road. 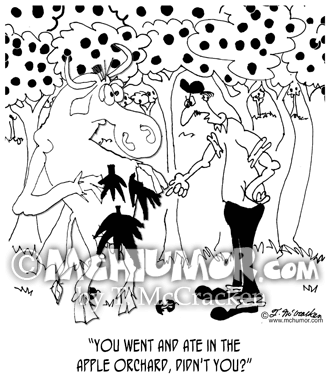 Cow Cartoon 7261: A ranch hand looking at a cow in a fig leaf saying, "You went and ate in the apple orchard, didn't you?" 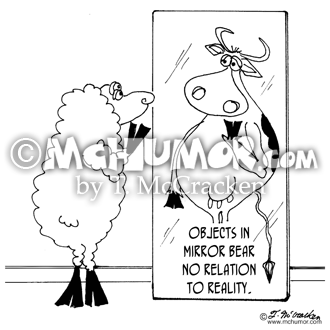 Sheep Cartoon 6923: "Objects in mirror bear no relation to reality." 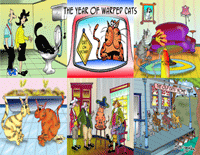 A sheep looks into a bathroom mirror, and reflected back is a cow." 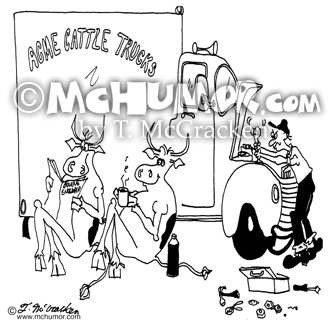 Cow Cartoon 5372: A broken down cattle truck with cows smoking and drinking coffee while driver works on truck.